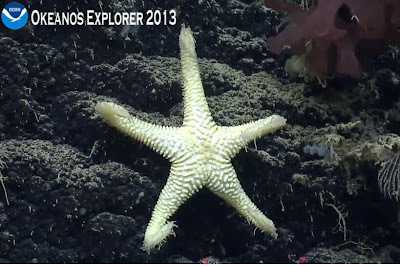 The Echinoblog: Echinoblog's Okeanos Explorer Deep-Sea Round Up! 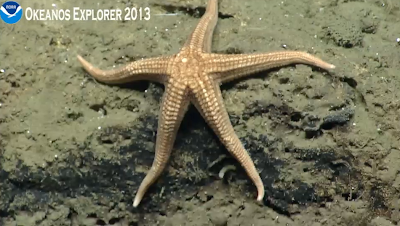 Echinoblog's Okeanos Explorer Deep-Sea Round Up! So this week was one of the biggest Marine Biology Events EVER! It was on TV almost ALL DAY (and for the next several days) and involves some of the Earth's most mysterious and unusual animals! 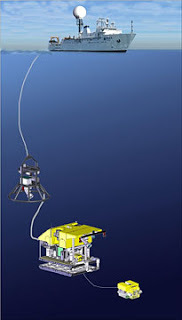 Quick Summary: NOAA has a research vessel which travels the world deploying a robot (Remotely Operated Vehicle or ROV) equipped with many HD cameras and a huge ability to record images from the deep-sea. Here is their telemetry which gives you an idea of where they've gone. Some of their dives are VERY deep, down to nearly 3300 meters!! The AWESOME thing about the OE program is that the HD video from the ROV via the ship can be BROADCAST LIVE OVER THE INTERNET!! 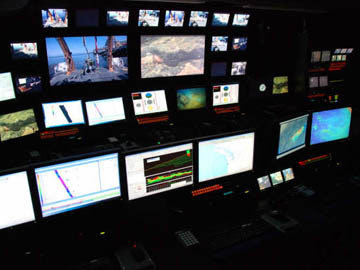 Those who have tuned into the LIVE REALTIME video broadcast have been able to watch "over the shoulder of scientists" as NEW deep-sea habitats are explored!! What's even more fantastic? Many deep-sea biologists, some world experts in the field, are actually listening in via phone, or via internet forums. I'm one of the world's experts on starfish and I'm monitoring via Twitter (@echinoblog) and via conference call. Each day of the expedition can go anywhere from 5 to 7 hours. So there's a LOT of footage. So here.. I present some of the highlights of new discoveries and neat, weird deep-sea animals from the last few days of video footage. There's still more to come and undoubtedly, I've undoubtedly missed some but this gives you a nice overview of new discoveries and awesome stuff from the 1000+ meter deeps off the east coast of North America! My thanks to Dr. ChrisKellogg (@drchriskellogg) whose "Screen Grab Fu" was FAR superior to mine! 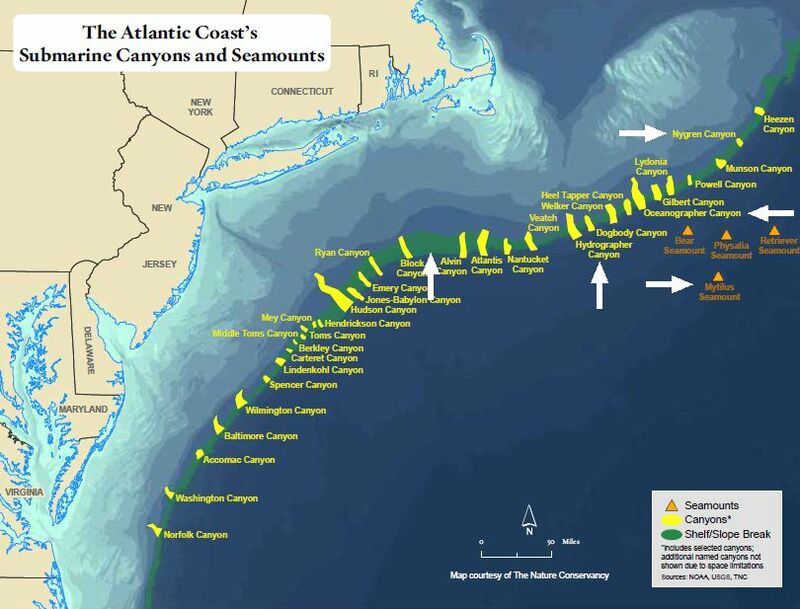 A NEW cold seep community in Nygren Canyon! A cold seep is a place where toxic materials, such as sulfides, hydrocarbons or methane leech out the bottom and into the water (see here for more info). Animals and other organisms take on special adaptations, such as the ability to absorb and process these toxic materials, so that they can live there in a similar fashion to the way special worms and clams live in hydrothermal vents habitats. Cold Seep habitats are unusual and when found, they are often monitored by the scientific community for study because of their potential importance. and certainly the OE expedition saw its share.. The stalk is COVERED by tiny little protrusions!! Parasites? Commensals Part of the animal? A new species? MANY questions! 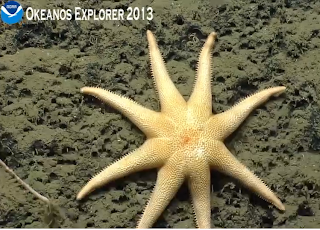 Weird & Rarely Seen Deep-sea starfish species! This starfish, called Pythonaster, is known from fewer than 6 specimens in the entire world. This is the 2nd time this animal has been observed alive and the FIRST time it has been observed alive in the Atlantic. Here is a plate of this animal from the HMS Challenger Expedition, which described it in 1889!! This starfish, Neomorphaster, is better known to scientists, but seeing it alive like this? That's not something that happens often. 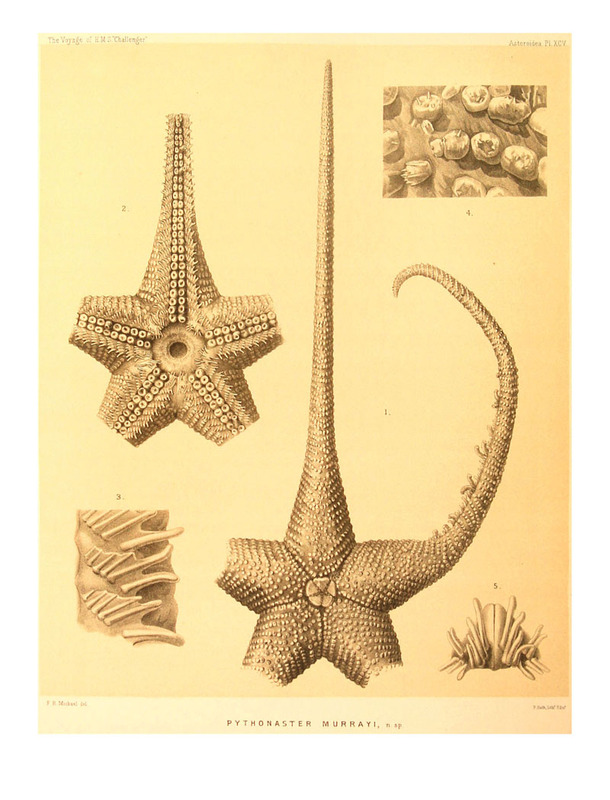 This looks to me like the starfish Hymenaster, a member of the Pterasteridae, aka the "Slime Stars" which you can go here to read more about! See that little center hole on top? That's called the osculum. and that's where the slime comes out! It opens and closes to allow water in and out. Is this why so many Neomorphaster are missing two arms???? Barnacles! 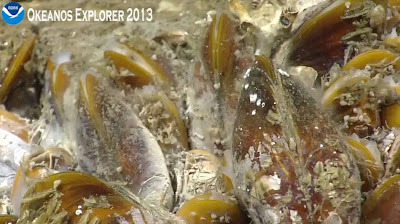 Deep-sea barnacles are thought to be old relative to their shallow relatives..
Glass Sponges! aka the Hexactinellida. These are literally animals made of glass fibers. Their bodies take on really remarkable shapes. There were a lot of these. Especially on Mytilus Seamount. This one floats on a long stalk! whew! Anyway this doesn't scratch the surface of ALL the weird and wonderful things that were seen during the expedition. Daily Expedition Updates are HERE. 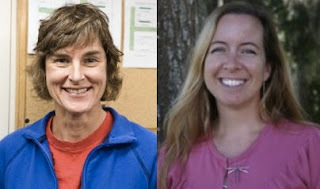 What more amazing creatures and ecologies will they discover?? Strange Urchin Spines! Past and Present!